Love the Flying Rainbow. I have perfect fabrics for it in my stash! Glad you included the Flying Rainbows, the method for forming the blocks is genius! I have made this block before a different way with so much stress, this way will be a pleasure! Flying rainbows, because I love quilts with bright colors! Rose Garden Star, reminds me of the veterans quilt I made my son-in-law for Veterans Day. Turned out beautiful with the hunters star. I LOVE Flying Rainbows. I make lots of charity quilts and this would be perfect for children. Love the flying rainbows bright and cheery, perfect for children and teens. Flying Rainbows is a sweet quilt with the potential for so many variations of color! Rose Garden Star because it is beautiful….but then they all are! I love your cleverness in changing the patterns! And the rose pattern would be perfect with some fabrics I have! Rose garden star, simply because I love the design. I choose Rose Garden Star. It is beautiful. Flying Rainbows is bright and cheerful. It makes me smile! I love the flying rainbows. I love bright colors. Thank you so much for your creative ideas. I love ❤️ the thought of taking one block and making so many different ones. I love the shells quilt. So very clean and sharp. Please keep up the good work. Teresa – I like the shells pattern. The play of the stripes really does resemble a shell. I like that you can use stripe fabric or make a variation stripe with your own. Change the look through color and placement! Rose Garden Star! Love Hunters Star Pattern! It’s on my priority “to do’ list for 2019! I’ve seen it made with other than the rapid fire ruler….is this one created doing block splits? All of the quilts are beautiful. 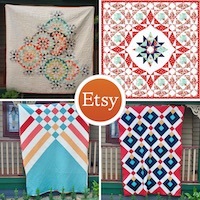 If I could only pick one I choose the Rose Garden Star because I love star quilts. Hello from Newfoundland, Canada! I love the Flying Rainbows quilt-I can see that one sewn up with loads of colourful scraps! I love flying rainbows. It looks like fun and would make a good charity quilt. I like the arrowhead. I can see it easily used as a chevron pattern. I like the flying rainbow quilt the best. It’s so versatile for fabric choices, plus the spacing allows for many QAYG methods. Flying Rainbows will be the hardest for me and I love to be challenged. I have the perfect material to start this project! I like the Flying Rainbow quilt. I love bright colors and all the white gives it a nice modern look. I love all your tutorials! I like the Rose Garden Star. Lovely colours and elegant looking quilt. I like the Rose Garden Star. It’s like a puzzle with different colors. My eyes dart back and forth to how the colors are arranged. I was fascinated by The Shells pattern… then saw the name! Love things beachy. Just starting out and love ideas with HSTs! The quilting looked fun and easy. A great way to show off my Kaffe Fassett fabric too! Arrowhead is my favorite….simple yet looks intricate. Also like the layered look. Winning a copy if your book would be awesome. I was immediately drawn to the Rose Garden Star. It is just splendid! les motifs bien définis , et j’adore les étoiles dans le patchwork . I like the flying Rainbow. I like all the space to do quilting designs. I watch your videos all the time. I have learned so much fro them. I love Flying Rainbows, the color possibilities are endless. I like the modern feel of Shells. I like the Flying Rainbows. The different ways to do that block is so interesting. Flying Rainbow. I’m always looking for a pattern that I can use for a Quilt of Valor. This would be perfect with a added border if needed. My darling eldest niece announced recently that she and her partner are expected a baby in May! I’m a little in shock about becoming a Great Aunt for the first time. However, I plan to make the ‘Flying Rainbows’ quilt for the baby. Arrowhead. I like the ombre effect combined with the strong dark diagonals. Love Flying Rainbows-light and airy! Thanks for the opportunity to win your book! I love them all but would choose Arrowhead to make for a friend who loves the Kansas City Chiefs football team. They play in Arrowhead stadium. I will choose peaks, because if I win I could take a peek inside your book! Seriously I like them all, I’m impressed with your creativity! I would love to win your book! Rose garden quilt, as it looks fun to do and I sew enjoy quilting!! I love Flying Rainbows – such a happy summer quilt ! And I need to think about summer it is -15C this morning – brrrr. Thank you for the opportunity to win an e-copy of your book. Rose Garden Star is my pick. I love the shading in the star piecing. Love Flying Rainbows….it makes me smile! I love the Rose Garden Star. I have made this one and love how easily it comes together, and how it displays the colors and patterns. Thank you for the inspiration. Holiday Trellis – because I love the endless possibilities & stunning effects of a Disappearing Nine Patch! I have a stack of nine patch blocks I work on occasionally for one of the 5 charity quilts I’m making. Although I’d planned to slice them into quarters and arrange them sort of stepping-stone style, now I’m going to wait and see more options from the bloggers who are adding slices in still another direction from Double Disappearing Nine Patch in your book, to see if I can turn this into a more interesting quilt for some lady in a nursing home to enjoy! How I love options! Anything I can do to perk up the lives of those ladies is a plus. 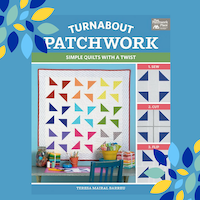 Imagine the fun of studying an intricate looking quilt pattern lying over you instead of a boring 9 patch! Gives both joy and warmth! Thank you! I’ve made several of your designs and hope to own your book some day to help me make fun quilts to cheer up more older men and women who are trapped inside their failing bodies. Blessings to you, Teresa ! I liked the rose garden star star. It is unique. I am anxious to make it. Arrowhead because I live 2 color quilts and haven’t made one! Holiday Trellis is my favorite. Christmas is my favorite holiday and the design keeps the day alive throughout the year. Flying Rainbows! Bright colors attracted me! I absolutely love the Rose Garden Star quilt, it is definitely my favorite. It’s true that all of your quilts are beautiful and your tutorials are amazing and very much appreciated. I am a novice quilter and you make every project appear possible to complete. Thank you for sharing your expertise and being such an encourager to so many people around the world. I like “Flying Rainbow” as it will make a great baby quilt and I am looking for ideas to make a baby quilt for my next grandchild. Rose garden star looks fun to make. I’m trying to figure out the slicing and rearranging. Peaks, the versatility of the blocks. Flying rainbows. I’ve liked it ever since I saw it. The simplicity of it plus the movement and colors make it just perfect. I love Rose Garden Star! I like roses, gardens and stars – what’s not to love. I started following you through your FPP tutorials on YouTube. I used to feel intimidated by FPP and now I realize I love this technique. Love the Rose Garden Star. A friend is having twins and that would be the perfect pattern for 2 baby quilts! Arrowhead by three lengths. I prefer quilts with fabric not purchased off the bold for a quilt and I love the look of muted colors….so, yes, Arrowhead. Flying rainbows, for sure. In fact, I’ve already made it. Modern style, fun colors, quick and easy to piece – what’s not to love? I like Flying Rai bow. It’s perfect for baby quilt. Love the rose garden star – just my colours and I love stars in whilst. Arrowhead, as it just speaks to me. Would love to make that one!! Rose Garden Star – love the movement and the colors. Flying Rainbows has always caught my eye! Rose garden star is my favorite. It makes me think of summer- warm weather. The news station is call for a foot or more of snow and blizzard like conditions in the next couple of days so anything that gives me happy thoughts is a winner! Rose Garden Square is my choice. I like the way the blocks work together. It looks complicated. I love the Rose Garden Star! I’ve had my heart set on a Hunter’s Star quilt at some point, and this one is gorgeous!! Thanks so much for the chance to win your book!!! Arrowhead was shouting to me to be picked! I like how it draws your eye to the top, but you still see the background. Shells, Arrowheads, Flying Rainbows!!! Oh, I do so want to make them!!! LOVE Arrowhead! Looks like a great stash quilt. Flying Rainbows partly because it’s the one that has been calling to me since you started promoting the book, partly because it would make such lovely little yachts and my daughter sails. But so hard to choose, really! I really love Peaks. It looks like a lot of fun, with some pretty layouts. Arrowheads. I love the subtle but strong movement. Arrowhead’s because the design would be great with many color variations. I really like rose garden stars quilt. It’s basically a hunters star, one of my all time favorite patterns. I really like Arrowhead. It makes me think of a very modern take on an old style of pattern for a quilt. Love it. 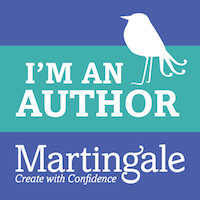 I would love to win a copy of your ebook. I have liked the Flying Rainbows pattern right from the start. I love easy patterns that look like they are hard to do. Just love Flying Rainbows, so fresh and modern, would love to try it. Flying Rainbows – I like it because it is light, bright, & colorful. Love the flying rainbows. Looks so happy and carefree! Disappearing nine-patch–because it looks like magic and have wanted to try one. Love the Rose Garden Star, it looks fantastic, great composition! Rose Star Garden! I love the look of the Hunters Star pattern but looking at the different ways you pieced them together was something I never would have thought of! I like the flying rainbows because it looks free and colorful! The giveaway will not let me select just one quilt pattern. I like the Rose Garden. I have fabrics in my stash that will look great in it! I love the Rose Garden Star. It is looks like Hunter Star. I have some Japanese beige fabrics that are perfect in brown and beige. I love the impact of Arrowhead. The black sets it off and it actually looks like it’s moving up in the picture. I really like the rose garden star- I really want to do that one! I love them all but Flying Rainbows is just a standout because of all the different ways you can move them to make a totally different look!! Have learned so much from your tutorials! Arrowhead—I love how graphic it is! I like the Flying Rainbow. Very easy to make. I’m in love with the Arrowhead quilt. I’ve got a collection of teal and brown prints that would work great for this pattern. The movement in the prints as well as that in the quilt pattern will make for a strong visual impact. I love the Flying Rainbows because it makes me feel like I’m running through leaves in autumn. Arrowhead is my favorite for its eye-catching simplicity. Flying Rainbow. Love the happiness of it! Peaks looks like a quilt block that I could do. I picked the Rose Garden Star. Love the way you can use a variety of colours. I LOVE Flying.Rainbows. It is so cheerful looking. It is also a much more straight forward technique than what I used to assemble the same design. Thank you for your inspiration. I like Rose Garden Star. The intricacy of the design intrigues me. All of the patterns are beautiful, but Flying Rainbows brought my eye back more than once! I always appreciate your videos and creative ideas, Teresa! They have helped me become a better quilter in many ways! I have been hooked on the “flying rainbows since I first saw your book! I think it is a fun take on an old block but totally new! I love modern quilts and this one fits me! Good luck on your book. I always enjoy your you tube tutorials. Flying Rainbows…I love anything rainbow and I love how clean the design is. I love the colors in the Rose Garden Star – the Hunter Star pattern is on my bucket list! I love the Flying Rainbows!!!!! I chose Arrowhead. The design intrigues me as well as the coloration. Beautiful patterns- all of them! I like Flying Rainbow but I think I would do Arrowhead and change the colors. My choice is Flying Rainbows. Lots of movement. Flying Rainbows, mert vidám és színes. Örülök, hogy rábukkantam a blogra! Flying Rainbows is my favourite. 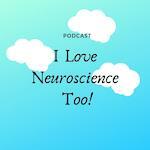 I love to watch your videos which are easy to follow and have great ideas. I love Flying Rainbows.It is perfect for a baby’s cot quilt. It also is a terrific pattern for using up a few of those scraps. I love the Rose Garden Star quilt, I love the way it looks. It looks like the Hunter Star quilt & because I love star quilts. The Rose Garden Star quilt is very appealing right now. Looking out at cold gray weather. The design is great but the spring colors offer hope. I love two – Rose Garden Star and Flying Rainbows — they both make me happy and want to do the 💃. RGS brings back memories of another quilt made 20 some years ago and FR reminds me of my granddaughters who love rainbows and unicorns! I love the Rose Garden Star and can’t wait to see how you make it. I love your block methods! This quilt will be great with the almost solids I have been collecting. The Peaks pattern is my favorite. I like the different variations of the blocks you can use. Arrowhead would be a great pattern to make for the guys in my life; it’s always so easy to find patterns I know the women will love, but the men are tougher. This one will be striking but not bland, so fun to make, great to live with, and full of visual interest. I love the Flying Rainbows!! Arrowhead is my favorite! I love the big block look! Flying Rainbows for sure. I love the bright colors and “airy” look to it. One of my favorites in the book is Flying Rainbows and I think I will make this one. Love the pops of color!!! Arrowhead is my favorite because of the subtler color scheme. Love the arrowhead quilt as I love the boldness but how beautifully it is all pulled together. Rose Garden Star…reminds me of a circle of children holding hands! Love the connectedness. Disappearing Nine Patch is my favorite. Love the variety of looks you can get from this block. I love these kinds of variations on patterns, starting with Nancy Brennan Daniel, then Mickey Lawlor, now you. Such fun! I am intrigued with the Arrowhead, with the flying rainbows a close second. I too like all the patterns but I think the flying rainbows is my favorite. I love you book so helpful and makes piecing so much easier. I am drawn to Holiday Trellis because od how geometric the blocks are. I love all your designs but what I love best about the Rose Garden Star is that it is a very detailed and intricate looking design, but you break down the directions so that even the not quite so advanced quilter can make it. Thank you for your inspiration! Flying Rainbow is my favorite,! I love the Flying Rainbow. Looks do easy and offers endless possibilities. Thanks for the inspiration. My favorite is Flying Rainbows. I make a lot of baby quilts for charity and always looking for easy patterns that could use scraps. I’ve liked it ever since seeing the cover of your book. I love the flying rainbow quilt! Very light and happy! I love the Trellis! I miss my garden at the moment while living away for work. I think this would be perfect for developing my beginner skills but also providing a challenge! So many fabric options!!! It’s a challenge to choose because all quilts provide inspiration. I like how a traditional block is exploded as in the Flying Rainbow quilt.